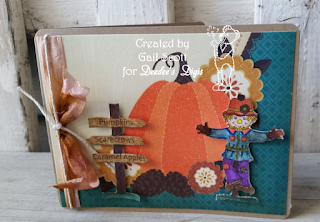 Deedee's Digis: October Digi of the Month Reminder....2 weeks left! October Digi of the Month Reminder....2 weeks left! Halloween is almost here!! So that means October is coming to a close and so will the October Digi of the Month Challenge. You have 2 weeks (Nov 1st is the last day) to make a card and link it up to the original post HERE. Then you will get next month's image emailed to you for FREE!! If you participated in last month's challenge, you should have already received this set in your email. 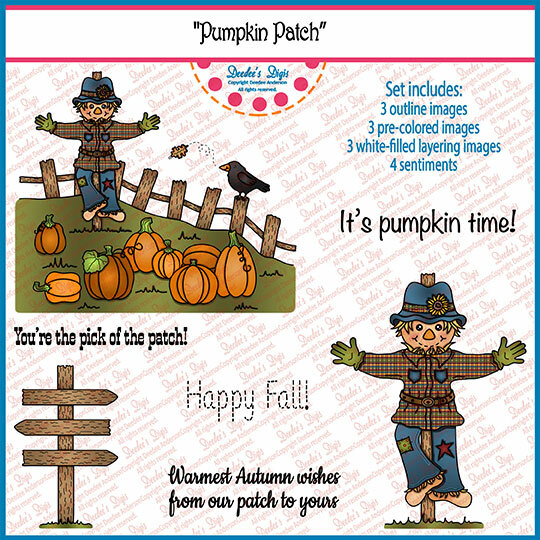 If you did not participate in last month's challenge, you can still purchase this set for just $1.25 this month HERE in our shop. And to show you just how cute this digital image can be Marji and Gail made up some adorable cards to help inspire you! Hope your week is blessed big and small! The More Pumpkins the Merrier!